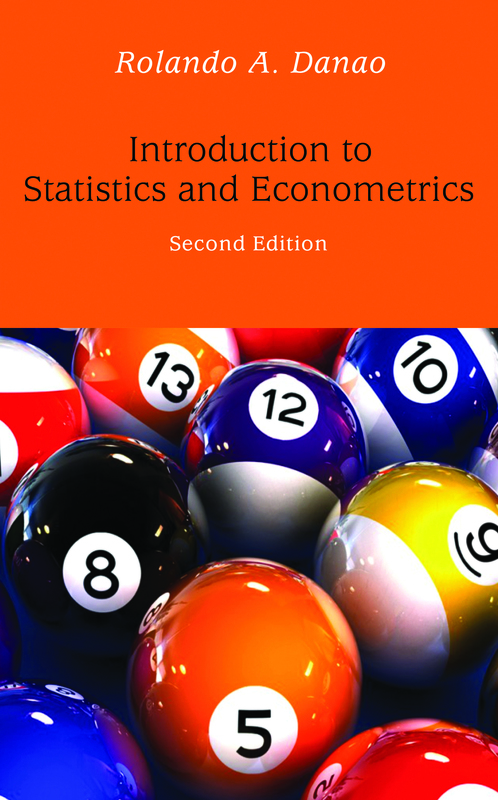 Introduction to Statistics and Econometrics, second edition, is a book for beginning econometrics students. The major change in this edition is the addition of a chapter on logistic regression, a model of binary choice that is now commonly used in many disciplines including economics. Other changes include a section on instrumental variable estimation, end-of- chapter appendices on the use of Stata, in addition to EViews, to implement econometric techniques, and editorial revisions to improve exposition. Despite these changes, this edition retains the basic purpose and the basic format of the first edition, which won the 2004 National Academy of Science and Technology Outstanding Book Award. Rolando A. Danao is a Professor Emeritus at the UP School of Economics. He received his PhD in Mathematics from the University of California at Berkeley and did postdoctoral work at the University of Pennsylvania. He was on the faculty of the UP Math Department before joining the School of Economics. His interests include optimization, mathematical programming, econometric modelling, and game theory. His articles have been published in leading international scholarly journals in optimization theory, linear algebra, and operations research. He has received fellowships and distinguished teaching and research awards including the Rockefeller Foundation scholarship, the National Science Development Board scholarship, the Outstanding Faculty and Outstanding Researcher Awards from UP, and the Outstanding Published Paper Award from the National Academy of Science and Technology of the Philippines. He is the author of a textbook, Introductory Mathematical Economics, which won the Chancellor’s Best Book Award in 2002.